「幸せがずっと続く12の行動習慣」その13。科学によって証明された、「マインドフルネス瞑想」が「あなたの幸福度を高める行動」になる理由とは? “The How of Happiness” No.13――What are the reasons for why “mindfulness meditation” becomes “happiness activity” that has been shown to be successful through science? emphasizes clearing one’s mind and grounding oneself in the present moment. anxious, hostile, self-conscious, impulsive, or neurotic. 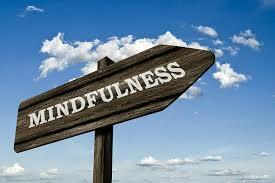 mindful report more illness and physical symptoms. attention back to your breath. decorated――with photos, artworks, or inspirational quotes――or completely spare. It should be comfortable and, if possible, free of distractions. or buying a how-to CD or book.